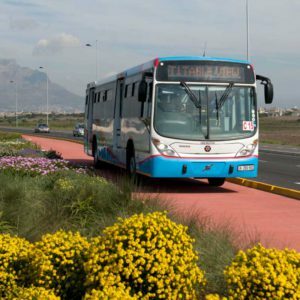 The City of Cape Town’s Comprehensive Integrated Transport Plan for the period 2013 to 2018 (CITP 2013-18) was approved by Council on 5 December 2013. Annual reviews of this plan are required up to the concurrency of the plan. Minimum requirements that need to be incorporated into such a review are stipulated by the National Department of Transport (DoT). In addition, there are a number of projects/plans and strategies which have been completed by the City and projects that are underway since the last review of the CITP. These updates and other changes need to be incorporated in a ‘2015 Review’ document. I was appointed by Transport for Cape Town (TCT) to assist TCT’s Planning Department with the drafting of the 2015 mini-review of the CITP 2013-18. The overall scope of this task was to receive feedback from the various TCT managers responsible for identified tasks and incorporate a summary of these, into a new, high-quality, stand-alone review document through extensive liaison with TCT Planning’s Project Manager. The work comprised two major components: (i) An editorial process to ensure all relevant plans/strategies are collated in a required format and manner for the 2015 Update; and (ii) A critical review of this information, linkages between plans and strategies etc. and their incorporation into a new, high quality, stand-alone document that meets the aspirations of TCT, the City’s IDP and the minimum requirements as stipulated by DoT and will conjugate with the original CITP 2013-2018. The purpose of this Comprehensive Integrated Transport Plan (CITP) 2013– 2018 review is to give the City of Cape Town its mandate for the transport network and everything that moves on it. This CITP sets out what TCT is committed to and accountable for. In particular, it describes how TCT will set about the delivery of integrated, intermodal and interoperable transport and its related road, stormwater, bridge and rail network in Cape Town and across the Functional Area. Picture credit: Bruce Sutherland, for MOBILITY magazine.